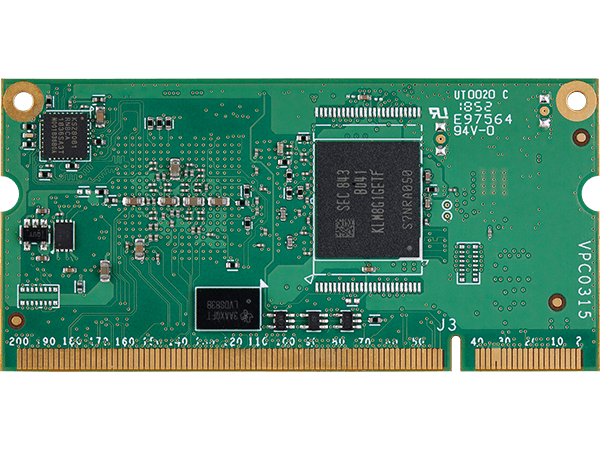 The VAR-SOM-6UL is highly flexible System-on-Module (SoM) based on NXP i.MX 6UltraLite / i.MX 6ULL / i.MX 6ULZ ARM Cortex-A7 processor, up to 900MHz CPU Clock. 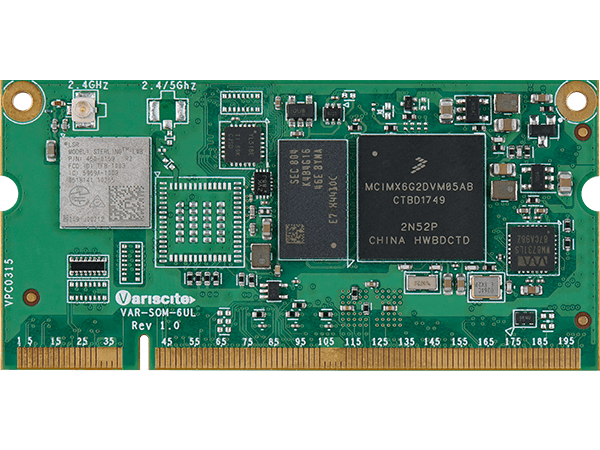 The SoM is taking part in Variscite’s ‘VAR-SOM Pin2Pin Family’ and provides a scalable pin-compatible option to i.MX 6 and i.MX 8/8X platforms. The Pin2Pin family offers Variscite’s customers a high level of scalability, extended lifetime availability and reduced development time, cost and risk. The VAR-SOM-6UL provides a variety of interfaces and connectivity options – all packaged at an optimized power, size and cost. The SoM’s highly integrated connectivity includes a certified single 802.11b/g/n or dual-band Wi-Fi 802.11ac/a/b/g/n, Bluetooth/BLE, dual Ethernet, dual USB, audio, camera in, parallel RGB and LVDS display with touch panel and serial interfaces. The system supports industrial temperature grades -40 to 85°C and long longevity commitment targeting embedded products in various industrial segments and applications. Note: All the add-ons in [brackets] are optional.